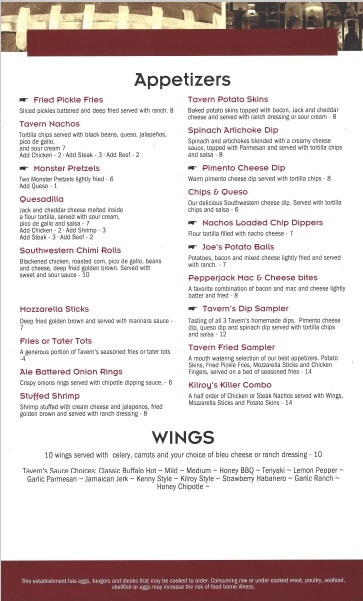 Tavern on 74 offers a complete menu offering from bar classics such as wings, burgers, and sandwhiches to more elegant restaurant fare such as filet mignon and pasta dishes. 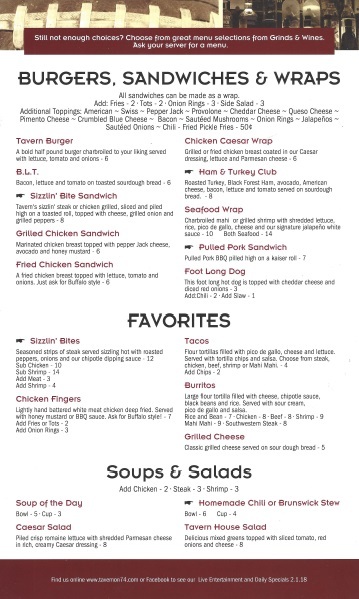 To help you learn a little more about our menu offerings, our full menu is available for online viewing below. Please note that the menu is available for viewing, downloading or printing in adobe pdf format, if you do not have adobe reader installed on your computer you can download adobe reader for free directly from the adobe website by clicking here.